Happy Friday! I’m gearing up for a super busy weekend. We’re designing all of the florals and paper goods for a Smog Shoppe wedding on Sunday. 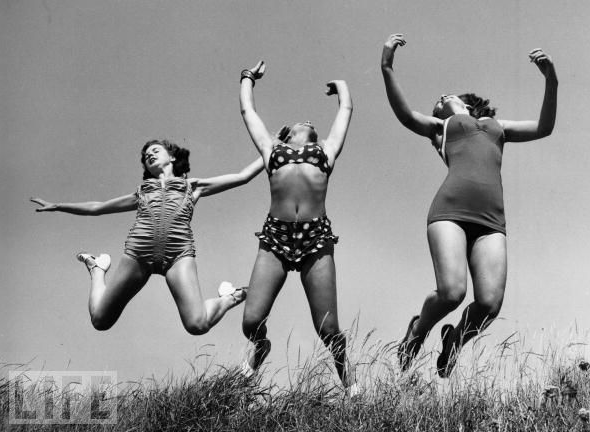 As much as I’d love to be awkwardly jumping in a grassy field wearing my bathing suit like these gals, it just doesn’t look like that’s in the cards for me. It’s gonna be a warm one out there, stay cool this weekend! xoxo!